1. Press to switch the display to a folder list. 2. 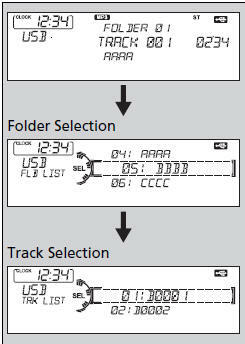 Rotate to select a folder. 3. Press to change the display to a list of files in that folder. 4. Rotate to select a file, then press . If there is a problem, you may see an error message on the audio display.